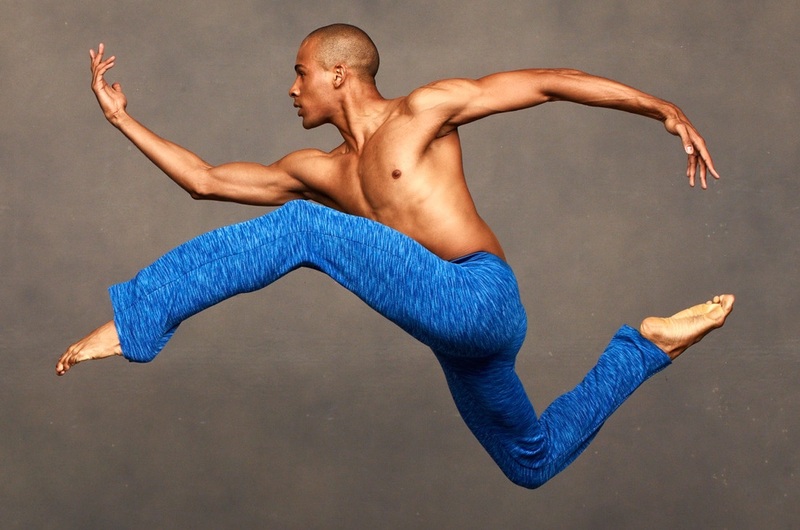 One of the most popular works in the Ailey repertory, Ronald K. Brown’s spellbinding Grace is a fervent tour-de-force depicting individuals on a journey to the promised land. Described by The New York Times as “astounding, something to be sensed as well as seen,” this spiritually-charged work is a rapturous blend of modern dance and West African idioms. As in many of Brown’s works, the movement alternates fluidly between extremes, with eruptions of power coupled with lightness. A serene solo for an angel-like figure in white gives way to fireball intensity as 12 dancers resembling urban warriors execute Brown’s whirling, pounding choreography, arms and legs slicing the air and fingers pointing to the sky. Brown’s varied music choices closely reflect the heart of the work, with the spiritual grounding of Duke Ellington’s Come Sunday, the contemporary yet timeless house music vibe of Roy Davis’ “Gabriel,” and the West African and African-American traditions of Fela Kuti’s Afro-Pop beats. Support for this production was provided by Natasha Leibel Levine, M.D. & Harlan B. Levine, M.D., and Elizabeth Marsteller Gordon. The creation of this work was made possible, in part, by AT&T, the John S. and James L. Knight Foundation, and The Harkness Foundation for Dance.